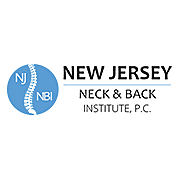 Dr. Sandro LaRocca and the staff at New Jersey Neck & Back Institute, P.C. are dedicated to excellence in spinal surgery, care, and treatment. Healing is brought about with individualized care, compassion, education, and the institution of state of the art treatment. Through such attention, we are committed to transformational improvements in the quality of life of our patients. Education is paramount to a successful outcome, and the staff at NJNBI is committed to making sure patients fully understand their problem and the rationale for treatment. Patients are guided through a multidisciplinary approach involving a network of pain management specialists, physiatrists, therapists and other specialists providing various modalities of treatment. When surgery is necessary, patients benefit from Dr. LaRocca’s surgical expertise in back & neck procedures.